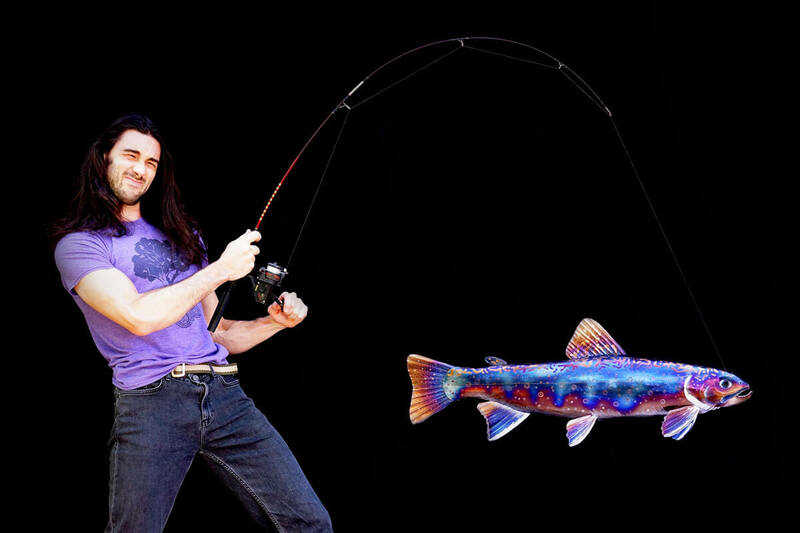 This handmade brook trout sculpture is metal wall art made entirely of stainless steel. 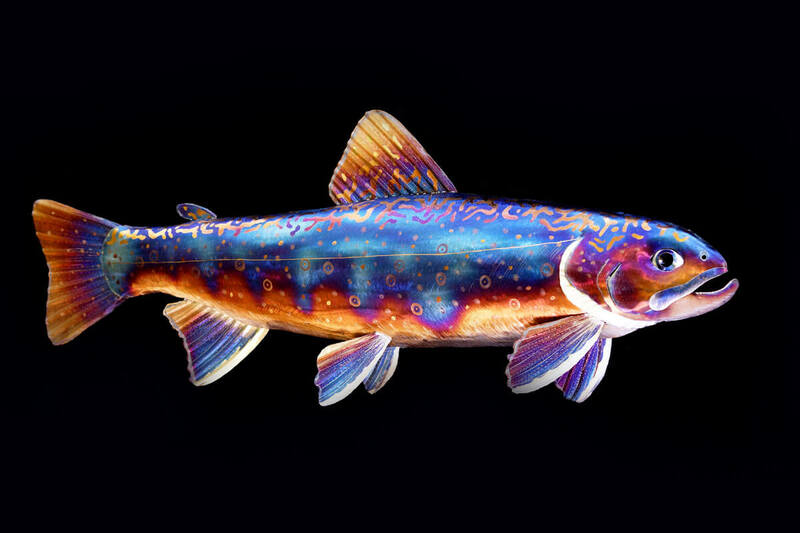 I have always found brook trout to be beautiful. 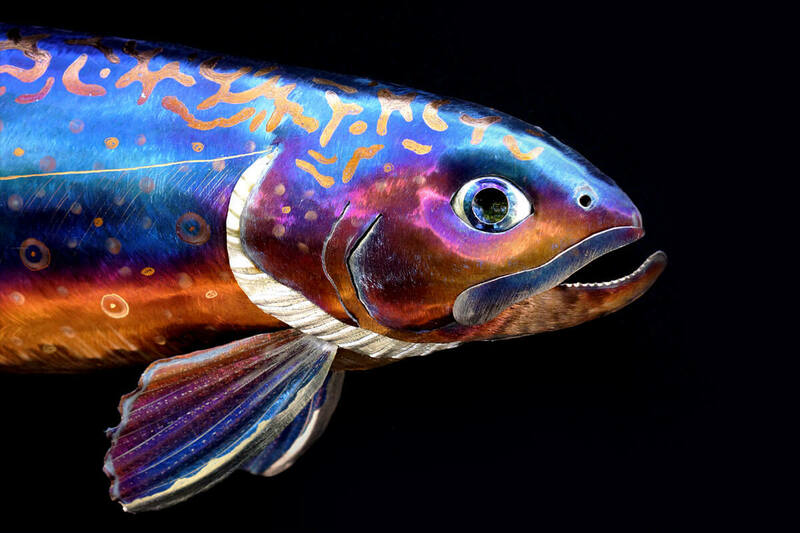 I am especially drawn to the elaborate patterning on their backs that replicates the design of light shining through water. 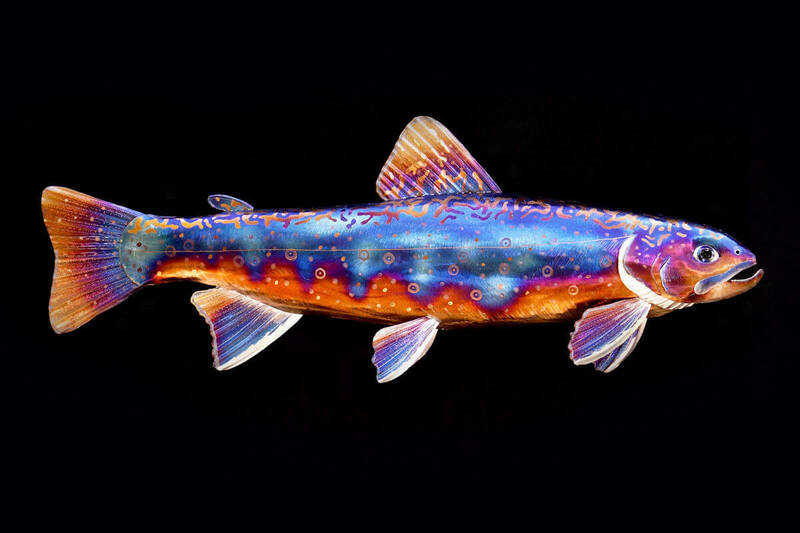 This coupled with their complex colorful speckles and the bright edged fins makes them a particularly striking animal in my eyes. My step father is also an avid fly fisher and I have had the pleasure of seeing some of these in the wild and they are truly remarkable creatures! This sculpture is completely safe to be kept outdoors! 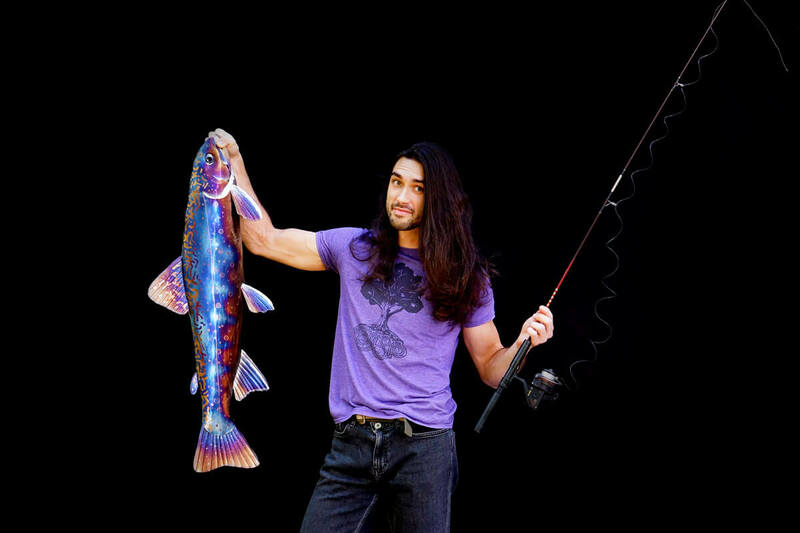 Artist Aiden Dale catching a metal brook trout! Close up of metal brook trout head.